Engaged couples are encouraged to contact the parish office at least six (6) months prior to the anticipated time of their wedding. 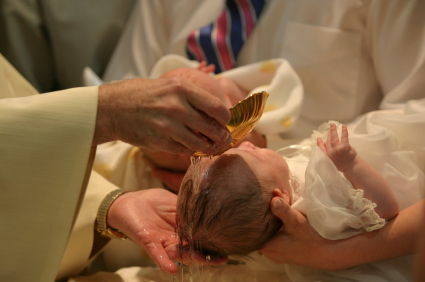 Baptism is the first sacrament which welcomes a child into the church community. Parents need to be registered with the parish. Preparation session is required for parents of first child. In preparation for receiving this sacrament, we ask parents to please contact the church office to sign-up for the Baptism session on the last Monday of each month at 6:30 p.m. Baptisms are celebrated at 1:00 p.m. on Sundays.